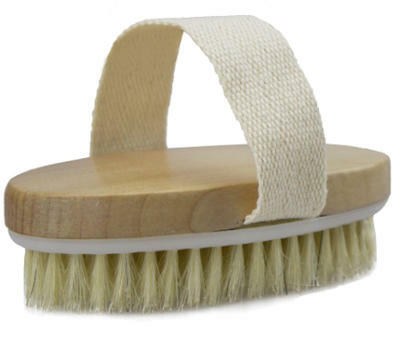 Looking For The Best Body Brush for Dry Brushing? Although Dry body brushing has been a beauty method since Ancient Times, it has become very popular recently from what I have noticed as a means of removing deal skin from your body, improving circulation to your skin and helping your lymph glands to drain removing harmful toxins from your body. Some people even find that dry body brushing can help to reduce cellulite leaving your entire body looking smoother and firmer. So, here is a look at some of the best body brushes for dry brushing based on their functionality, construction, good quality of materials, and top reviews. 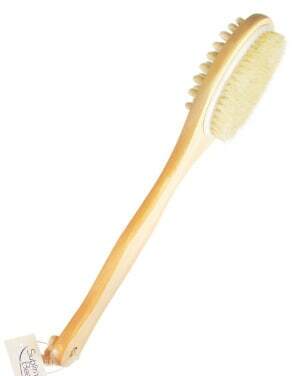 This Yerba Prima Tampico skin brush has a detachable head and replacement heads are available. So, it comes in two pieces which are very easy to assemble and in general this is a very functional brush since you can use either the head on its own or use it with the handle when you want to reach more difficult to reach places for example on your back and thighs. It also has natural bristles and is known for its ability to remove dead and dry skin cells, stimulate blood circulation and improve lymph gland function. 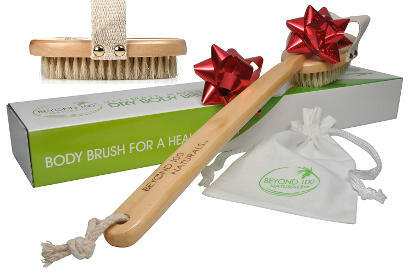 Users really like this dry skin brush and state that they feel invigorated after brushing with it for 5 or 10 minutes. They find that brushing with it just prior to taking a shower leaves their skin feeling clean and soft with its tone looking more even than they imagined it would. The removable handle is very handy since it allows them to reach hard to reach areas of their skin. The Sublime Beauty Healthy Original dry body brush comes with a dual head. One head is for dry brushing and one head is for reducing cellulite. This is a long handle not detachable brush that is made of high quality polished wood and boar bristles. It comes with a 100% lifetime money back guarantee and a free ¨how to¨ guide about dry body brushing benefits for health. It is designed to exfoliate dead skin cells, improve circulation, reduce in grown hairs and cellulite as well as give you a feeling of invigoration. The bristles are neither too hard nor too soft which makes it perfect for a successful dry skin body brushing. Users say that using this product is actually soothing. Many of them state that they feel invigorated after body brushing and that they experience better sleep. Their skin is less dry, smoother, clearer and even tighter. The Zen Me Dry body brush is not a vegan brush since it is made from boar bristles. The wood used is lotus wood derived from trees that are sustainably farmed. The bristles are extra long, curved and medium strength which is actually strong enough to do what this brush is meant to do without irritating the skin. According to the company, this product improves the lymph gland function and reduces cellulite while also removing dead and dried skin from your body. They also offer a full refund if you are not satisfied with your purchase and free exfoliating nylon gloves plus an eBook containing useful tips on how to dry brush your skin the best way. Users say that this is a well made brush and that their skin feels softer and looks healthier after using it. It comes with excellent instructions as to its use and is great at removing tiny lumps and bumps. 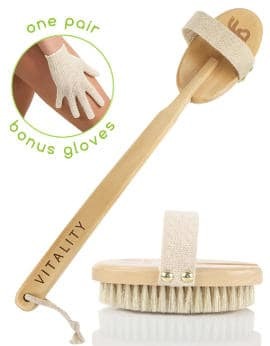 It has a nice long handle and people like the addition of the gloves so that they can exfoliate both in and out of the shower. This Wholesome Beauty body brush removes dry skin as well as improves your skin circulation and lymphatic function. The company also claims to reduce the appearance of cellulite and offers a 100% money back guarantee. This product is made of natural bristles but I was not able to find exactly what the material of the bristles is. It also comes with a travel bag as well as a hook and is offered in 3 styles: a palm brush, a curved handle brush and a 2 in 1 removable long handled one. Users really enjoy being able to choose the style of the brush they like the best and state that this brush results in overall smoother skin. It doesn’t shed much and comes in a nice handy bag. They also state that it leaves their skin feeling clean and fresh and that they feel invigorated after brushing. Not only does it remove any flaking skin but it also relieves the itch caused by dry skin. According to the importer of the kingsley body brush, this product features natural Palm bristles and a contoured wooden handle made of pine. The 10 inch handle is angled and wide making it easy to hang onto. There is also a loop so that you can hang it up. Users who have purchased this brush review that it does not shed, it exfoliates dry skill well and relieves it while also softening it. 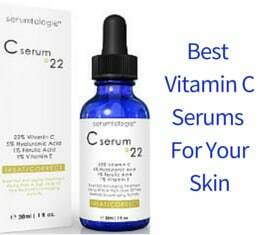 In addition, several users feel that it has helped to reduce those cellulite lumps. Just keep in mind that you don’t need much pressure when using it. Overall, it is easy to clean and nicely designed. Designed to remove dry and dead skin from your body, this Beyond 100 Naturals body brush comes with a detachable head and a long handle that is packaged in a nice box suitable to be offered as a great gift. 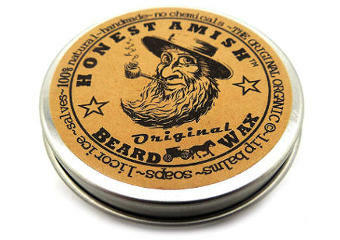 This product is made of boar bristles made from harvested hair. It has a 90 day money back guarantee and a 1 year warranty. You also get 2 items as a free bonus, a travel pouch to be able to carry the brush head wherever you want to travel and an eBook with a guide to dry body brushing and its benefits. According to the company, it improves circulation, reduces cellulite, stimulates lymphatic function boosting your immune system and can even improve your digestion. Users like that this brush has natural boar bristles that are smooth yet firm and not only remove dry skin, but also improve the lymphatic system and circulation leaving their skin glowing and feeling softer and healthier. The handle is nice, smooth and wide and the removable head and travel pouch come in handy. Also, the instructions on how to use the brush are extremely helpful. This natural bristle scrub and body brush exfoliates the skin, improves blood circulation and helps the lymph glands to drain. It is non detachable and made of boar bristles of medium stiffness. It also has an ergonomically designed rounded handle, made of birch wood, that is easy to hold and comfortable to use. The size of the brush is 12×2.5″. The company supports their product with a 1 year warranty and offer a free eBook with actors and models´ secrets to tight and glowing skin. Users find this brush extremely comfortable to hold and the perfect length for reaching all parts of the body. They also like the rope that allows you to hang the brush. While the brush is extremely durable, it is gentle on sensitive skin and actually quite easy to clean. 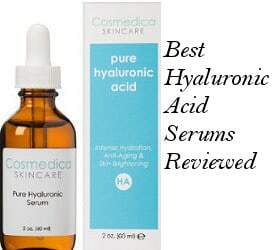 People review that it results in softer skin that looks healthier overall. 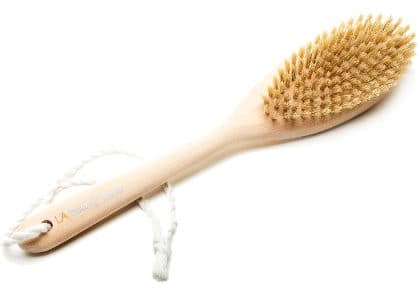 All in all, if you are looking for the best body brush for dry brushing to help revitalize your skin and provide your body with all those health benefits we have previously mentioned in this review, then one of these brushes may well be the perfect choice for you.